I’m Désirée McGraw and I have the pleasure and privilege of serving as the President of Pearson College UWC. I moved here with my family in January of this year – to experience with all of you the adventure that is Pearson College. My husband Chris and boys Jack (at age 11, the oldest kid on campus) and Michael (7) have been away camping but will join us later today at the opening BBQ. And we look forward to welcoming you into our home in the coming days. We started today with words of welcome from Chief Russ Chipps and his uncle Henry Chipps. It is so important to acknowledge our very special relationship and understanding of our place – the culture and history of this place: the traditional lands of the Scia’new First Nation. We are grateful and humbled to live and learn here. I stood here two years ago – 31 Aug 2015 – at my first Opening Assembly to welcome years 41 and 42. Welcome back, Year 43! 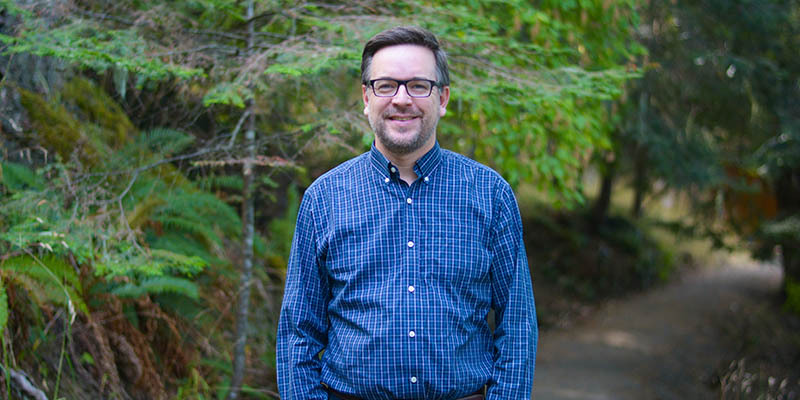 Over the past days, I have heard such joyous sounds from you that I know how happy you are to return to Pedder Bay, reunite with your cohort, faculty, staff and other friends from the LBP community. The positive energy you radiate is wonderful! This will be a great year, full of challenges as you cram in all sorts of activities, while preparing for the ultimate UWC challenge – the IB exams. In addition, you are now the ‘old hands’ and we are all counting on you to take seriously your role as guides and mentors to Year 44. We – faculty, staff and the broader LBP community – will be with you, every step of the way. Welcome Year 44 to the unique world of Pearson College and to the greater world of UWC! You have read all about Pearson, and some of you know former students, but until you actually experience it, you cannot fully imagine what an enriching and transformative adventure you are embarking on. While you will enjoy cutting-edge education, service to the community is an important part of the Pearson experience. You will discover so many avenues to enlarge your experience and interests. 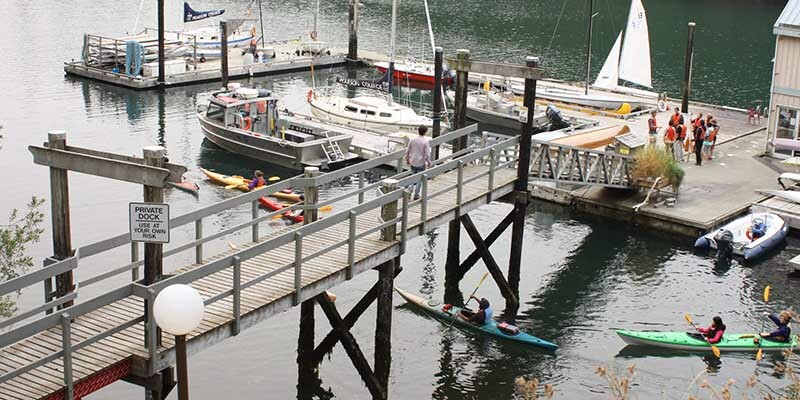 Our marvelous setting on Pedder Bay in one of the most beautiful parts of Canada offers so many opportunities to try new outdoor activities, or perfect sports and skills you already have. Opportunities for artistic expression and exploring new hobbies abound. And, as the Year 43s will tell you, the involvement of every student in One World is an unforgettable experience. I salute your courage! You have all demonstrated courage – simply by choosing to come here from far and wide to plunge into a totally new experience, learning to live, communicate and collaborate with a more diverse group than you have ever known. That courage will be key throughout your lives as you follow your dreams as change makers. Most of you have come from far away. I understand you may have some feelings of anxiety. It is, after all, a new experience in a unique setting– and, for so many of you, in a new country. WHO IS IN NORTH AMERICA FOR THE FIRST TIME? IN CANADA? IN BC? For most of you, you will be living and learning in a foreign language. WHOSE MOTHER TONGUE OR FIRST LANGUAGE IS NOT ENGLISH? English is the second, third, fourth language for about 2/3 of you. While English is my first language, I can empathize with the majority of you who are learning in a second language; I spent the bulk of my education studying in my second language – French. And while I am so grateful for that experience, for learning that beautiful and complex language, it was hard. Hard to never be able to fully express myself or my personality in the same way. I know you realize Pearson represents a tremendous opportunity for you to learn as a student and grow as a person, but I also know that this experience may at times be lonely and confusing. I encourage you to reach out to our tremendous team of faculty and staff – I can assure you that they are totally dedicated to your well-being – academic and otherwise. And to your peers of Year 43, who have, as the saying goes ‘been there, done that’. You will have the opportunity to expand your minds, come to an even greater appreciation of the richness of diversity in humans and in nature, in sum, to expand your horizons on so many different levels. By living, learning and laughing together, and serving across different communities, countries, cultures and contexts, you will hone your leadership skills to make a difference in the world. Thus, you will support and further the mission of Pearson College and the UWC movement to make education a force to unite people, nations and cultures for a peaceful and sustainable future. We are proud that Pearson College is designated as an Ashoka Changemaker School part of a world-wide network of schools that enable all students to become changemakers—young people who have the skills and confidence to change the world for the good of all. As a student organizer, a global “youth ambassador”, an overseas graduate researcher, a UN reporter, a political advisor, advocate and, above all, as an educator, I have devoted my life to engaging and empowering a new generation of leaders to tackle global problems. I have always been a bit of a disrupter and at the age of 16, I took what we now call a gap year to embark with three friends on a cross-country tour to speak in high schools about the threat of nuclear war and what they could do about it. We made our way from St. John’s Newfoundland to the end of the Trans-Canada Highway on the west coast — Mile ‘0’ at Lester B. Pearson College. Little did I dream that I would return here some 30 years later as President & Head of the College! After hundreds of presentations to student bodies across Canada, at Pearson we all felt a true sense of solidarity with our peers: the students were informed, intelligent, engaged, empowered – deeply committed to working for change and creating a better, more just and peaceful world. This has not changed! The SAGE (Students Against Global Extermination ) – ou en français Solidarité anti-guerre étudiante -tour was life-changing for all of us. I developed a bias for action and a tremendous sense of possibility – or empowerment. I learned that through hard work, through team work, through organization and passion – almost anything is possible. Before I came to Pearson, for seven plus years I led the Jeanne Sauvé Foundation as Executive Director and President. The Sauvé Fellows are, in many ways, you ten years from now. They come to the residential year-long program in Montreal from all across the globe; from huge urban centers and from tiny hamlets. Some have enjoyed comfortable lives in developed countries; others come from countries ravaged by disease, poverty, corruption and conflict. They were – and are – united by their burning desire to change the world and by their willingness to test and refine their visions. The Sauvé Fellows network is a strong reminder that change is accomplished not only by unwavering dedication, but also through collaboration with like-minded individuals and organizations. In 2015, we hosted the current cohort of Sauvé Fellows here at Pearson. It was an inspirational experience for Pearson students and I hope that we will make the Sauvé visit a tradition. I am here, above all, because I believe in you. My favorite title is Chief Champion for Pearson College and I promise you that I will always be your champion. I believe in your potential and your power to change the world. Above all, I believe in working in partnership across generations, countries and cultures to create a more just, sustainable and peaceful world. We, the adults on campus, pledge to do our part – in our respective roles – to support and collaborate with you. This year, we celebrate the 60th anniversary of the award of the Nobel Peace Prize to our namesake, former Prime Minister LBP, for his work to create the United Nations Peacekeeping program in response to what is referred to as The Suez Crisis. Today, UN peacekeepers (Blue Berets) are recognized throughout the world. His commitment to peace and global understanding are at the core of life on our campus and the UWC Mission. In his Nobel Prize Lecture, Mr. Pearson asked, “How can there be peace without people understanding each other, and how can this be if they don’t know each other?” Every one of us at Pearson College strives every day to respond to that challenge. I encourage you to read his Nobel Lecture, “The Four Faces of Peace”, which he identifies as peace and prosperity or trade; peace and power; peace and policy or diplomacy; peace and people. I hope you will not only be inspired by its lessons, but also gain a sense of who the man was. Mr. Pearson was in every way an extraordinary individual: diplomat, scholar, statesman, devoted parent and a talented athlete too! After he left politics, following a visit to the College of the Atlantic, he spearheaded the creation of what was then designated as the College of the Pacific. Sadly, he died in 1972 before the project was realized. After his death, the College was renamed Lester B. Pearson College of the Pacific as a living memorial to his vision. I hope that you will devote some of your time this year to learning more about him and will be inspired by his story to incorporate in your own lives the values of the United World Colleges movement in terms of service, excellence and dedication to making education a force to unite people, nations and cultures for a peaceful and sustainable future. One way to learn more is to visit the College’s Library and Learning Support Coordinator Dani McArthur. Working with volunteer Adrian Lee, an alumnus of Year 1, Dani is embarking on a project to establish archival records that are comprehensive and easily accessible to more people. Specific archival materials related to the founding of the College through the efforts of Mr. Pearson and his contemporaries will be prioritized to eventually create a multimedia digital archive that will help better tell our College’s founding story through historical photographs, documents and video clips. We will be hosting Speaker Series and other events on campus. November 2nd, Pearson, in collaboration with the University of Toronto Massey College, is organizing a reception and panel discussion of former ministers of Foreign Affairs and experts, who will examine the legacy of Mr. Pearson’s Nobel Prize, under the theme of The Faces of Peace. Closer to home, from 17 to 19 November, University of Victoria and Global Affairs Canada will celebrate Canada’s 150th anniversary at the inaugural Victoria Forum. The theme is Canada@150: Promoting Diversity & Inclusion and Pearson College is hosting a Gala Reception on the Friday evening, following the opening ceremony and panel discussion. There will also be opportunities for Pearson students to participate in support roles throughout the conference. In collaboration with Global Affairs Canada, Pearson College is organizing a major event in Ottawa the week of 11 December to commemorate the Nobel Peace Prize ceremony and Mr. Pearson’s Nobel lecture of 1957. A working group that includes my indispensable Executive Coordinator and Assistant Valérie Colas is putting the finishing touches on these events and will be keeping everyone informed of the details. In August 2015, in my first address to students as President and Head of College, I challenged the Pearson College community with a call to action to begin the work of reconciliation between the College and indigenous peoples in Canada. This work aligns with one of the core values of the UWC Movement, “the importance of acting on your beliefs and taking a lead role in what you do as well as what you say.” The College has always worked to give students the necessary tools to create global change and is taking action to work in partnership with First Nations to create change at the local level. Canada’s history with its indigenous people, including First Nations, is largely one of betrayal, exploitation and injustice. One particularly painful part pertains to the Residential Schools: for well over a century, generations of Indigenous children (some as young as 3 or 4) were separated from their parents and raised in overcrowded, underfunded, and often unhealthy residential schools across Canada. They were commonly denied the right to speak their language and told their cultural beliefs were sinful. Some children did not see their parents for years, and when they did, they know longer communicate in the same language. Other children – the victims of scandalously high death rates – never made it back home. The purpose was to “kill the Indian in the child” and it was nothing short of mass cultural genocide. In the wake of this national tragedy, a Truth and Reconciliation Commission (TRC) was created and mandated to educate the Canadian public about residential schools and their place in Canadian history. After years of traveling across Canada – listening to and recording stories of thousands of “survivors” of the residential schools, the TRC produced its report in June of 2015. Now that the report has exposed the truth, the Commission challenges the country to participate in reconciliation. This is not just a challenge to Indigenous people, but to all Canadians. And if you care anything about social justice, it’s a challenge to all of us. I had the honor to participate in the 2015 Governor General’s Canadian Leadership Conference One of my fellow participants was Pearson Alumna Kory Wilson, who is now Executive Director, Aboriginal Initiatives and Partnerships of BCIT and a member of our Board of Directors. She is also the sister of The Honourable Jody Wilson-Raybould, the first Canadian Aboriginal Minister of Justice and Attorney General of Canada. Of all of my memories of the Leadership Conference tour, the most emotional are those of visits to residential schools. They are, of course, now closed, but the feeling of horror remains. And those visits motivate me to do everything I can – and to inspire those around me – to address the recommendations of the Truth & Reconciliation Commission. At Pearson, I believe we have a special responsibility – because we have the ability to respond to this challenge. The history and reality of residential schools run counter to everything we stand for. And as a residential school that celebrates community and diversity in all its forms, we have a special opportunity to make a difference. To support the work of reconciliation, I created a new position – that of Indigenous Educator, Advisor & Coordinator of Reconciliation Programming – a first not only at Pearson College, but within all United World Colleges (UWCs). This teaching and support role is carried out with great enthusiasm and sensitivity by another Pearson alumnus, Clint Kuzio, who interacts directly with all students and staff to provide cultural competency, safety and humility training, and to improve understanding of Indigenous issues across the Pearson community. He also works directly with Indigenous students to support their successful completion of the International Baccalaureate (IB) and to advise on post-College academic and other opportunities. The Indigenous Educator is an integral part of the team currently developing a new IB Anthropology course on “Indigenous Nations and Settler States in Local and Global Perspectives” that will be adopted at Pearson and offered to other UWC and thousands of IB schools around the world who will be able to adapt this reconciliation and understanding course in a way that is appropriate to their local needs. We also work closely with Chief Russ Chipps and other members of the local Schia’new (Beecher Bay) First Nation – exploring partnerships in ways both big (creating a global centre for peace and reconciliation here on campus) and small (creating a full scholarship for local indigenous students to attend Pearson College. Over the past two years, students have led initiatives that included a Special Topics Day devoted to Indigenous issues and peoples, and intensive outreach weeks in area public schools with significant First Nations populations leading to the establishment of peer-to-peer mentorship programs. I look forward to hearing your ideas for continuation and expansion of student initiatives on this topic. I would like to introduce to you the senior leadership team of Person College. Vice-President of Operations and Administration Tyrone Pile leads all internal non-academic functions including HR, finance, legal, infrastructure, IT, operational & strategic planning. While much of this is behind the scenes, he and his tireless team have accomplished an unbelievable number of restorations, renovations and upgrades on the campus over the past months. Some of this work will be continuing through the fall and the team will continue to renew buildings, facilities and make our campus even more sustainable and beautiful. Extensive renovations to Japan House from internal dormitory renovations to a new roof, new windows, new energy-efficient heating/cooling system and much more. The Academic Building, soon to be completed, will feature new and upgraded classrooms and, like Japan House, will have a new roof and new windows. The library is getting a new roof. This upgrade will start soon as work on the new Academic Building roof winds up. After consultation with a number of students last year, work is underway to upgrade your space – The Student Common Room! Tree husbandry around campus was initiated last year and continued this summer with more trimming and removals. Ty has introduced a new initiative to rehabilitate Pearson’s campus with native species – plants, shrubs, flowers, trees and grass. The contractor leading the renewal has asked for student participation. If this can fit into your busy program, more information will follow in the coming weeks. Please enjoy all these improvements and take care of them. 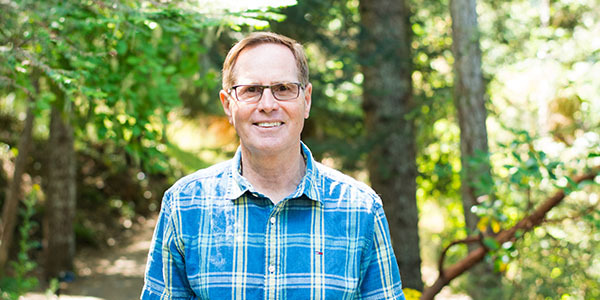 As Vice President, Advancement and External Relations, Dan Hurley is responsible for multiple aspects of Pearson College’s outreach, from our far-flung alumni, to donors, supporters, governments, and the local communities. His team ensures a strong social media presence, plans events, develops and monitors fundraising campaigns, researches and prepares proposals for major donors, develops and maintains a proactive program for Alumni involvement in various aspects of Pearson activities including the new Alumni House, the recently introduced Alumni-in-residence program, guest speakers, ‘Life after Pearson’, etc. In other words, raising funds, friends and profile. 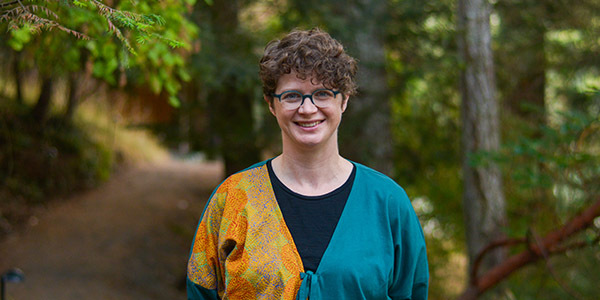 Heather Gross is Pearson College’s chief academic officer and vice-president of education and programming. As such, she is responsible for your cutting edge, transformative, educational experience that is innovative, distinctive and will transform your lives so you can go on to transform your own communities, countries and indeed the world. Heather, as the only member of the PC senior leadership team who is also an Alumna, will present Education & Programming from the dual perspective of the VP responsible and as someone who has experienced the life of a student first-hand She will no doubt treat you to some compare & contrast with her days as a student – all the changes and what has remained a constant.